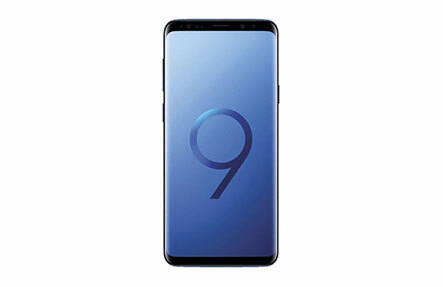 At Phone Ninja we offer many Galaxy S9 Plus repairs including our most common repair: Galaxy S9 Plus screen replacements, most of which we repair while-you-wait. Sadly, the LED display on the S9+ is quite fragile but we have you covered whether you need just the glass replaced or the entire screen with display. We have been in business since 2009 and with stores right across Perth, we are the repairer more people trust. While Galaxy S9 Plus screen replacements keep us busy, we also repair many other components including batteries, charger ports, rear glass, cameras, and much more; most of which we can repair while-you-wait! With stores across Perth we are never too far away, & we are known for stocking only the highest quality parts available. We of course offer all our repairs at affordable prices, something we guarantee with our Perth price-beat guarantee. So for your Samsung Galaxy S9 Plus repair, come down to any of our stores today, contact us or book an appointment online for an on-the-spot repair! *After repair, the device may no longer be waterproof. Copyright 2018 Phone Ninja, All rights reserved. All other trademarks & copyrights are owned by their respective owners. We are an independent phone repairer and not affiliated with Samsung Inc. in anyway. All our Samsung and Galaxy repairs use compatible or refurbished parts only. None of our repairs, products, or parts are official nor endorsed, authorized or refurbished by Samsung or Galaxy.